Long terms lurker, first time poster. After deliberating for about a year on whether to buy a "Sunday best" bike, I eventually took the plunge a few weeks ago and finished the S-Works build last night. 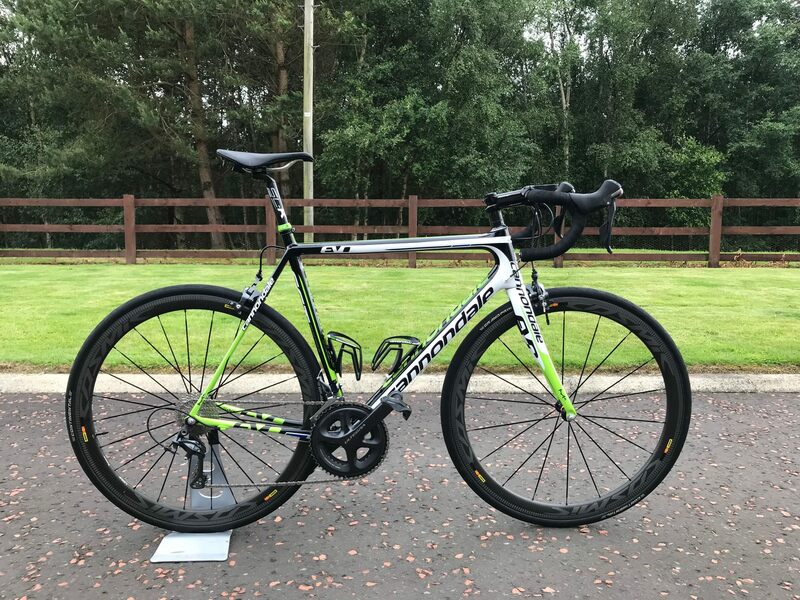 I couldn't decide between a Colnago C60 and the S-Works SL6 but when I managed to source the Sagan Superstar frameset after I thought I couldn't get one, the decision was made. I will however own a Colnago someday! 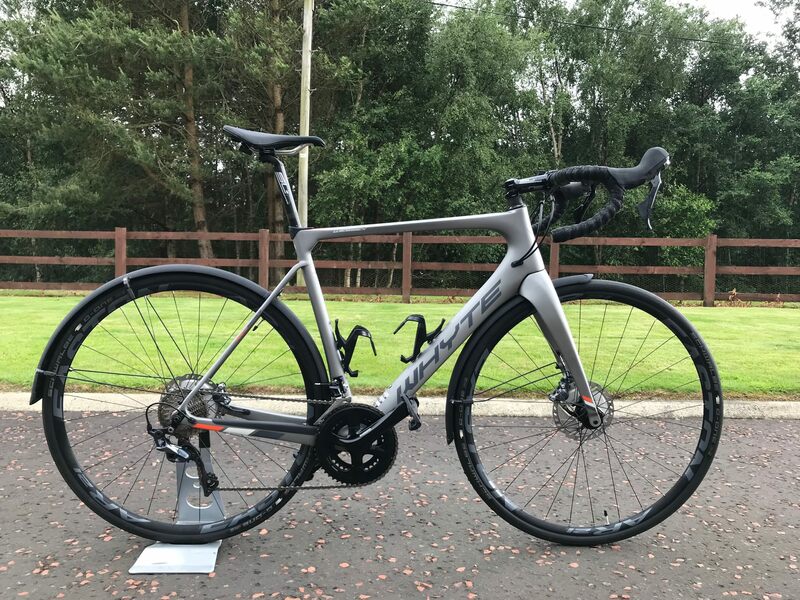 The build deserves Dura-Ace, but I had to make some financial compromises, so opted for Ultegra Di2 (R8050). 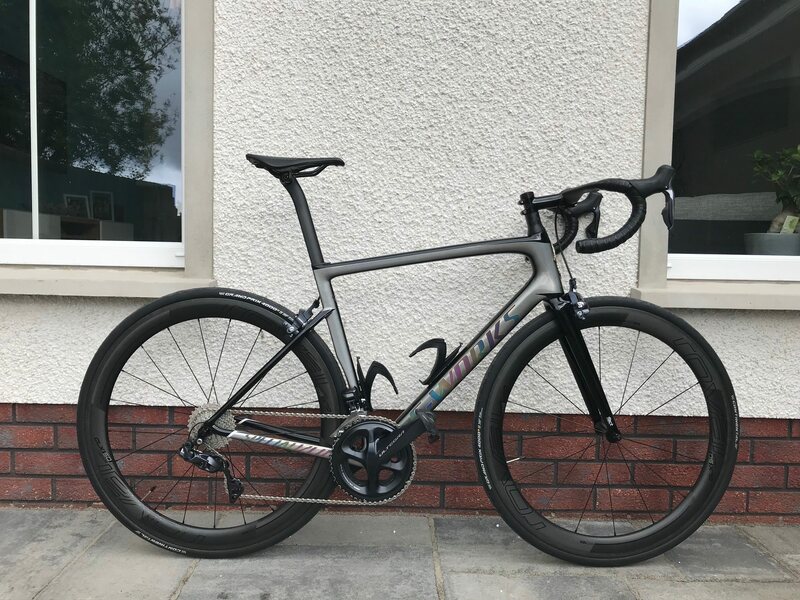 I haven't ridden it yet so I need to remove a few spacers and cut the steerer once I get the fit sorted and I will update the photos once this has been done. The weight is 7.04kg with the SLR's or 7.20kg with the Rovals which is generally what I was expecting and my decisions were based on financial consideration rather than weight. 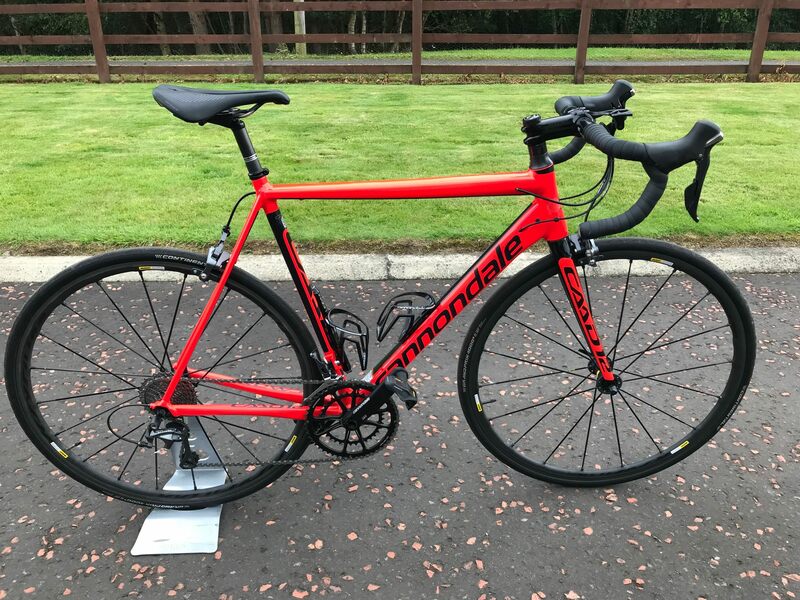 If/when I can afford it, I would like to replace the groupset for Dura-Ace with perhaps the S-Works crankset and move the Ultegra onto another bike. If there any immediate things I can do to drop some weight then all advise is welcome. Nice first post, especially with the inclusion of your other bikes. Welcome! Thanks Calnago. Quite the stable you have! I spent a long time reading your threads whenever I was swaying towards to the C60. Great first post and great bikes, all around. First ride last night and I have to say, it was awesome. Just a bit of noise from the gears to sort out and the rattle for the tube values. Is there any neater solutions than wrapping them in tape? A great 1st post indeed! Love that PS paint job and a solid pragmatic build. 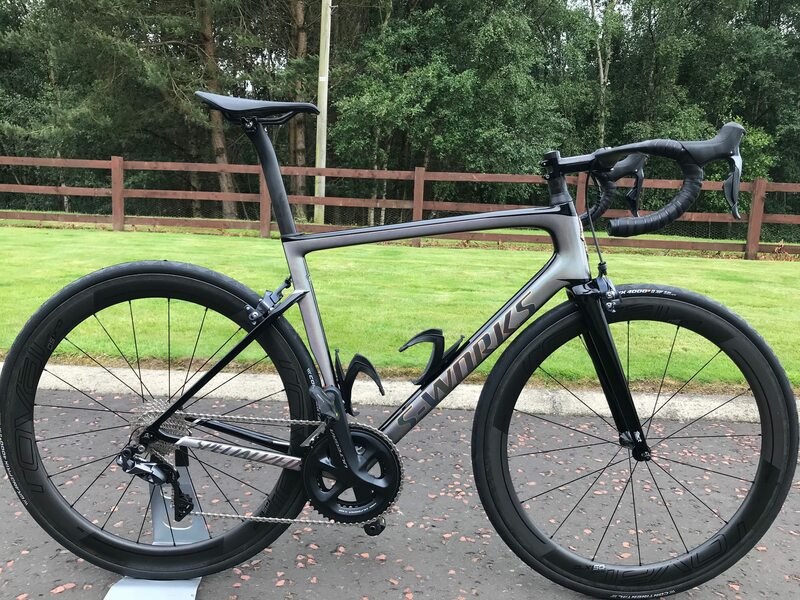 Curious about the handeling difference between your 'dales vs the new sworks- been told sharper/more responsive/twitchier. First impresions? I love my Evo HM but initial impressions are that the S-Works just does everything better. It accelerates better and holds speed better (probably a lot do with the wheels) and out of the saddle sprints were much more responsive. 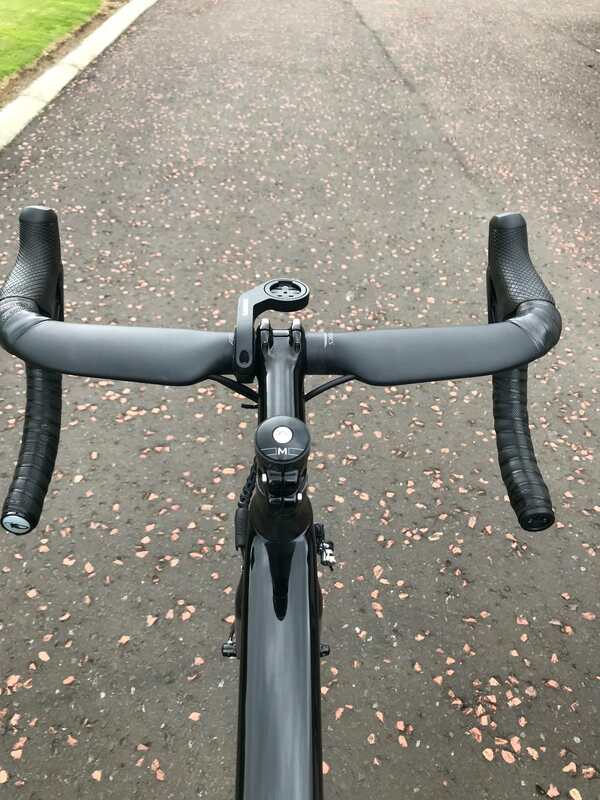 I've always found the Evo quite twitchy, especially on fast twisty decents but the S-Works just felt much more planted and I had a lot more confidence in the bike. On the Tarmac I am actually a bit surprised about the weight . Not fat in any way, but I'd still have expected it to come up lighter. Just out of curiosity, what is the weight of the frame and fork? Unfortunately they weren't weighed before it was built up by the shop. However in reading other similar builds if anything it is a bit lighter than I expected, especially with using Ultegra instead of Dura-Ace. 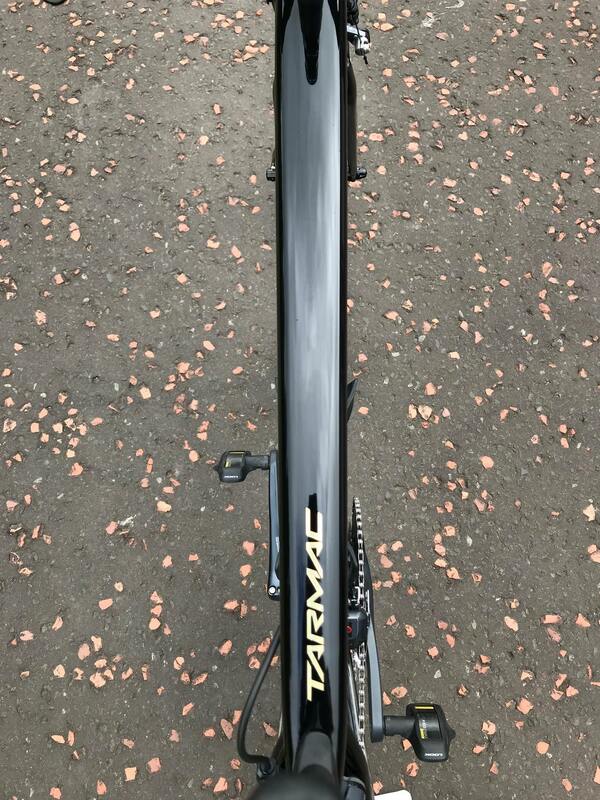 I believe the real world weights of the frame/forks is a bit above Specialized's advertised weights and the Sagan paintwork also adds a bit. Congrats on the frame! Bike looks great, especially with the Rovals. I’m kinda partial to the paint choice myself. It might add a little weight, but that Sagan paintwork is so worth it! 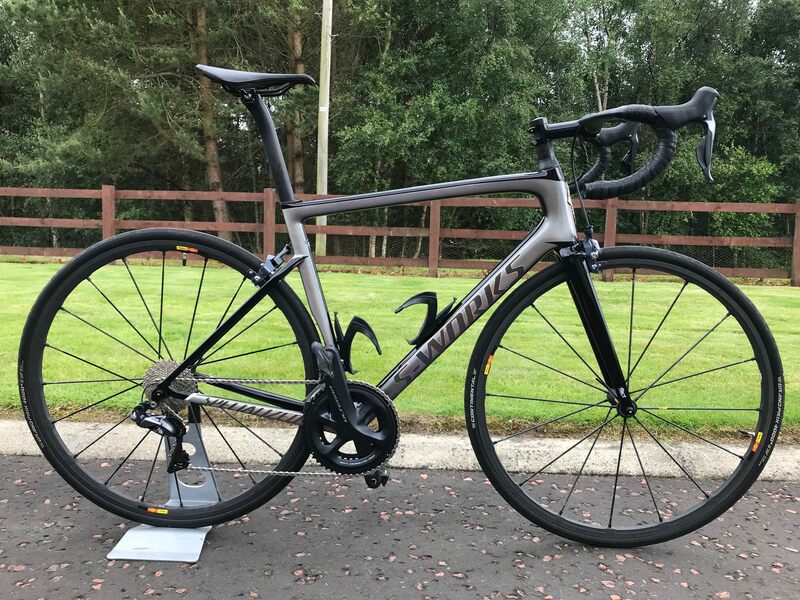 Managed to get a long run on it on Saturday and am still delighted with both the bike and the wheelset. I enjoying climbing and was worried the Rovals would be an issue on the steeper climbs but managed a series of PB's. They did "feel" a little heavier when climbing compared to the SLR's, however the clock said different. Ha! Glad I convinced you to get the frame! I am amazed every time I take the bike out in the sun. I actually sold my Zipp NSW wheels for CLX 50s and love them! They’re lighter, wider and stiffer than the NSWs. I’m running the S Works Turbo in a 26 and they measure almost 30mm wide and fit with plenty of room in the frame. I actually retook a KOM on the CLXs, they’re fast! what irritates me a little bit: saddle position is different on each of your bikes! is this intentionally? by billspreston » Fri Feb 15, 2019 8:58 pm » in Introduce Yourself / Gallery - Please use metric weights.